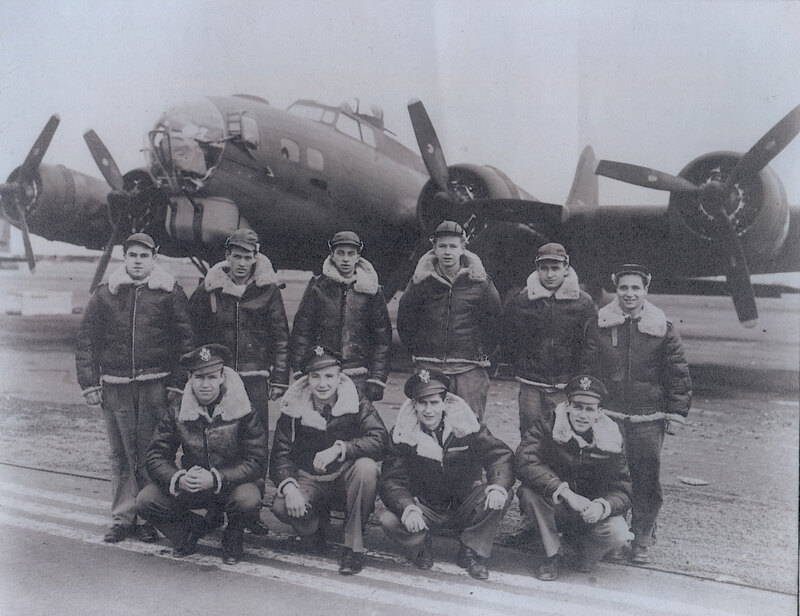 This is the story of the crew of the B-17G Punchboard. The crew of Punchboard consisted of the following members of the Eighth Air Force, 452nd Bomb Group, 731st Bomb Squadron based in Deopham Green, England:. Below is a photograph of the crew members listed above. The origin of the photograph and the identification of the B-17 in the backdrop are as yet unknown. My sincere thanks to Charles Garrett for providing this photograph.